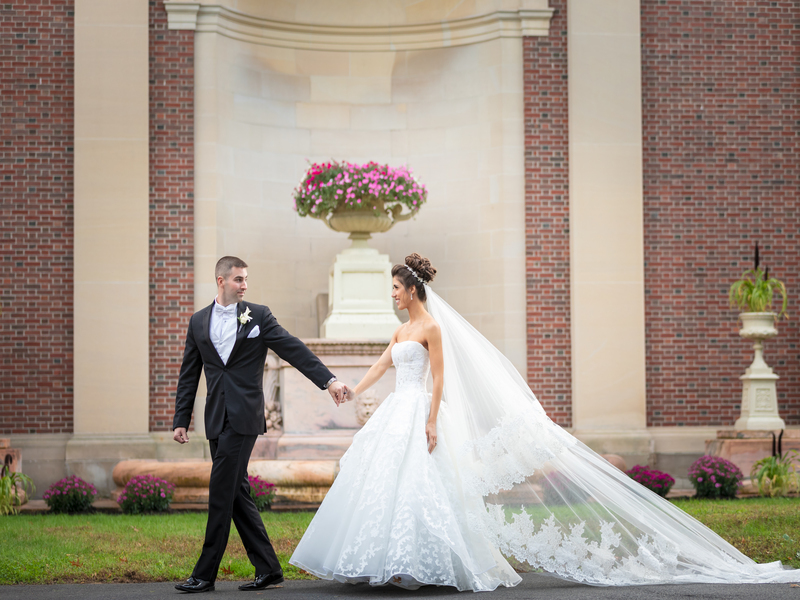 As seen in Vow Magazine, the fabulously talented Matt Ramos, photographed Michelle and Stephen’s beautiful Hall of Springs wedding on October 13, 2018. 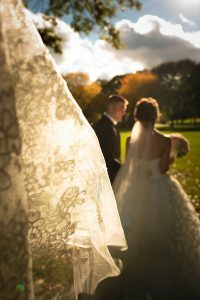 The results were stunning, here’s what the newlyweds had to say! 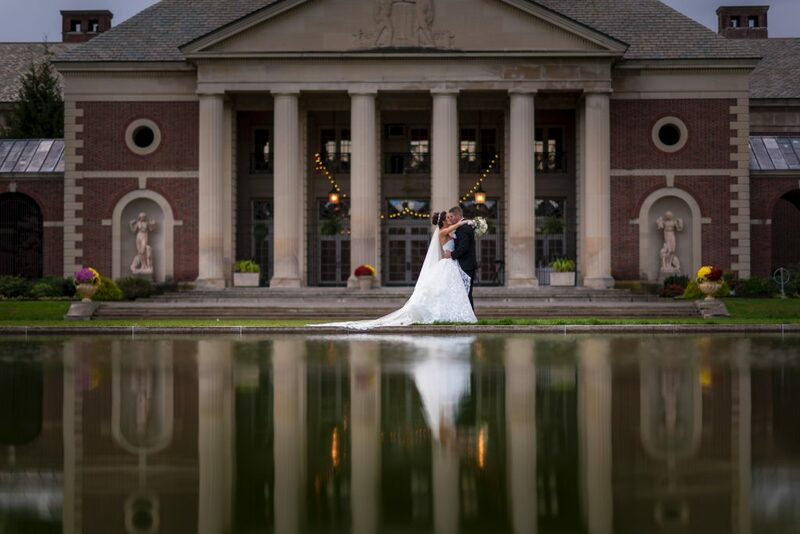 First impressions are everything, and the happy couples first impression of the hall was nothing short of incredible. 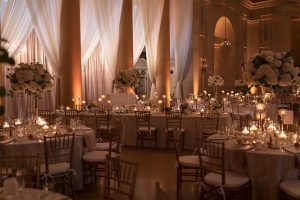 When Michelle and Stephen first stepped foot in the Hall of Springs they “knew right away this was the perfect venue for [their] reception”. 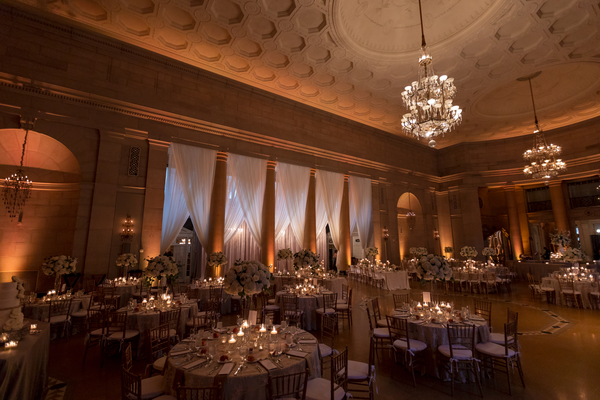 They loved the “amazing architecture” and remarked at how the Hall “is beautiful and full of history”. 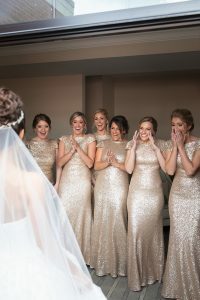 Michelle’s Bridesmaids had the honor of an exclusive first look of the beautiful bride before the ceremony. 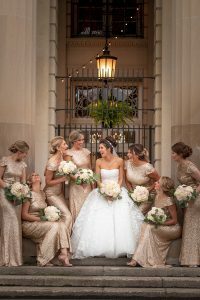 Her shoes, hair, flowers, and veil were all on point; a picture perfect bride for her picture-perfect Hall of Springs wedding day! 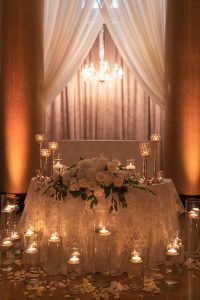 Before entering the Hall, the couple shared some private moments to take photos and let it sink in…..they just got married!! 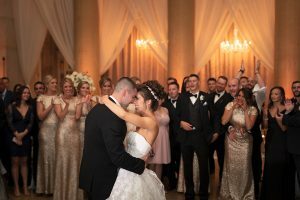 Michelle and Stephen shared their first dance upon arrival, and you could say that was a memorable moment for the two…..
“While taking everything in, DJ Vinny, with NonStop Music, began playing our wedding song. 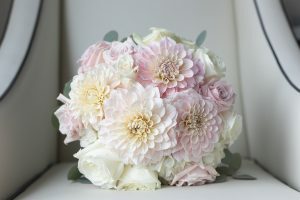 My husband and I started to dance and it made that moment even more special”. Michelle and Stephens night got even better when the food arrived…..
“We had a lot of food; from cocktail hour to the entrées to the dessert station to the late-night nosh station, everything was delicious! 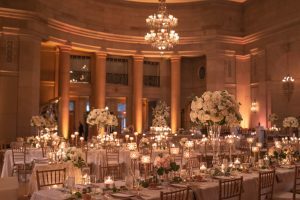 !” They laughed, ate, drank and danced the rest of the night away with their guests. 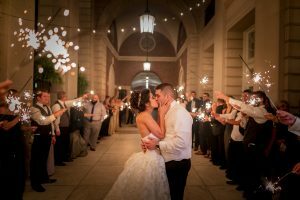 The couples family and friends shipped them off at the end of the night with sparklers lining the brick portico of the Hall; here they shared one final kiss and went on their way. Michelle & Stephen left some advice for couples planning their wedding day. 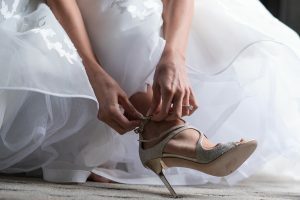 They said to “live in the moment and make time for each other”, this is your wedding day, don’t let one second slip away!